Patti Frawley easily could have missed the early warning signs of her uterine cancer. But she happened to be wearing white underwear the day she noticed the faint spotting. She figured it was the result of a bladder infection and that it would go away. But when it reappeared three days later, she decided to call her doctor. Still, Patti, who was 60 at the time, assumed the spotting was nothing. Five years earlier, she’d had some spotting, and her doctor had performed a dilation and curettage (D&C) to remove some uterine tissue. Those results were all negative for cancer. Her doctor wasn’t worried either, and Frawley was scheduled for a biopsy five weeks later. But two nights after the biopsy, the doctor called to tell Patti she had uterine cancer. Now, almost 11 years later, Patti speaks with HealthCentral about her diagnosis and what she’s learned about speaking up for herself. HealthCentral (HC): What happened after you received the biopsy results? Patti: The first 24 to 48 hours, I cried, and I thought, I never wanted to have cancer. Why do I have cancer? It was total panic. Then I said to myself, OK, I can't keep doing this until I see the oncologist. I've got to do something. So, I started researching and developed a more positive outlook and a more positive mindset. Then I started to think, OK, I've got this, it's not a death sentence; it's not going to be fun, but I can do this. HC: Was there a source of support that was most helpful during this time? Patti: My family and friends were wonderful. And I have to say the oncologist that I saw, her name was Dr. Angel, was an angel. She was available to me 24/7. She gave me all kinds of phone numbers where I could contact her at any time of day or night. I only needed her once, but I knew that she would listen to me anytime. HC: What do you wish other people knew about uterine cancer? Patti: Before I was diagnosed, I didn't know anything about uterine cancer. I think women know about breast cancer, I think women know about ovarian cancer, but I'm not sure a lot of women know about uterine cancer. I don't know why that is. Maybe it's because it's one of the curable cancers, and it doesn't get as much publicity. But I wish there was more emphasis on it and that women knew to look for the tell-tale symptom of vaginal bleeding. 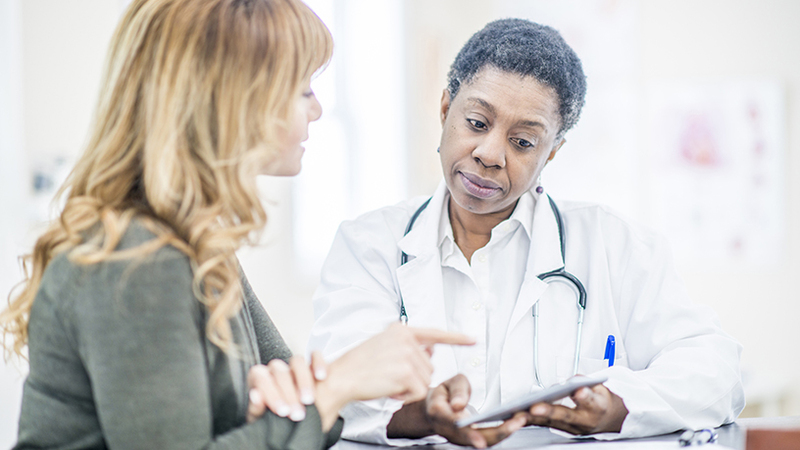 Spotting doesn't always mean a person has uterine cancer, but anytime a woman, especially a postmenopausal woman, has vaginal bleeding, she needs to get it checked out. I think that needs to be said. HC: Do you feel like you’ve been changed by your cancer experience? Patti: Absolutely. First of all, medically, when I go to a doctor's appointment now, I take notes. If I have a test done, I ask when the results will be in, and I ask them to call me no matter what the results are, either positive or negative, and I ask them when they will call me. If they don't call me, I call the office. I'm afraid something will slip by. Nobody is perfect, but I had that one experience, so I'm very careful to follow up and make sure that I have all the results that I should have when I should have them. HC: How do you take care of yourself now? Patti: I allow myself to take the time to scrapbook. I think memories are extremely important, and one thing, maybe this has to do with the cancer, I don't know, but I want my kids — they're in their 30s and 40s and grown at this point — but I want them to remember what our family was like. So I've been doing scrapbooks for them from their birth up through college, and I don't think I'll ever finish because I took many, many, many photos. And the trips that Jack, my husband, and I have taken, I have done many scrapbooks for them and all of places we've been, things we've seen. We love to sit down and look at them together.